Efforts to replace Miami-Dade’s aged transit fleet are speeding up, as new Metrorail cars in use have doubled in just two months and over half the Metrobuses ordered are now running, said Transportation Director Alice Bravo. Another 250 buses could start arriving in nine months. Of 136 railcars ordered from Hitachi Rail Italy, 56 are here with 44 in use, Ms. Bravo said. 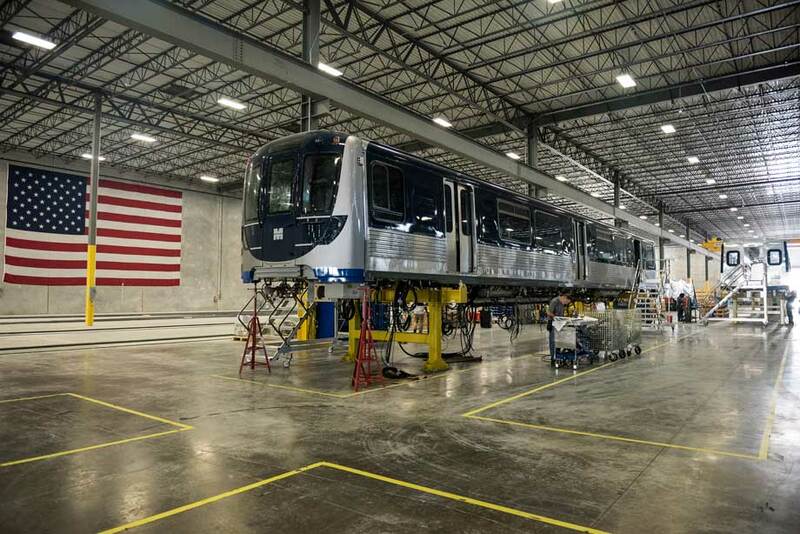 In October, just 22 new railcars were in use. The remaining 80 railcars should be here by spring 2020, she said. Of 300 compressed natural gas (CNG) buses ordered from New Flyer of America 181 are here, with 162 rolling. “[By] September, we will receive the leftovers,” Ms. Bravo said, adding that she expects the first of 120 CNG buses built by Gillig to arrive a month later. Miami-Dade last month bought the Gillig buses through a Central Florida Transportation Authority. Funds for that purchase, derived from the “half-penny” transportation tax, still need a retroactive OK by Citizens’ Independent Transportation Trust, the tax’s overseer, which was to review the order Wednesday (1/16). If approved, the purchase was to then go before a county transportation committee today, after which it would still need a nod from the county commission. Ms. Bravo said Gillig would start delivering five buses weekly in October. By then, county officials expect to have contracted with other bus builders, which should prove doubly beneficial. The CNG bus is the best in design — the scooter can go in without problems, have space for 48 inches long using 3 plus 1 seats that go up and in. The other side is for wheelchairs shorter with three seats that go up. The long buses diesel electric are also good in the Serial # 165– and 175– both have space large in the two sides. But the Serial 155– have only two short space (hree seats that go up) and very narrow entrance that makes it very problematic for a long scooter to go in and to turn inside for parking. The bad buying for that model results in 15 minutes delay in transit time. A good time between buses in a route is 10 minutes, but buses and trolleys are in Miami 30 minutes or worse.